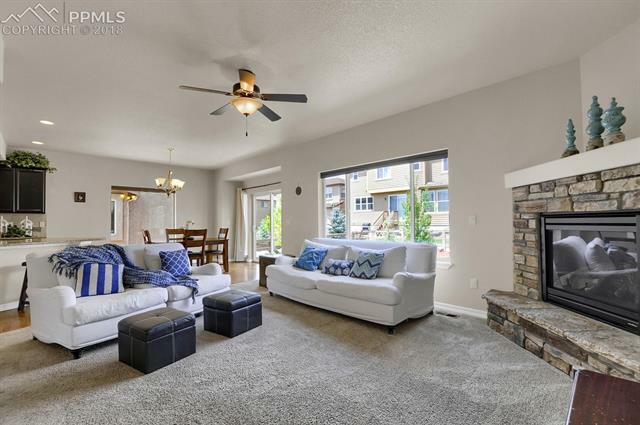 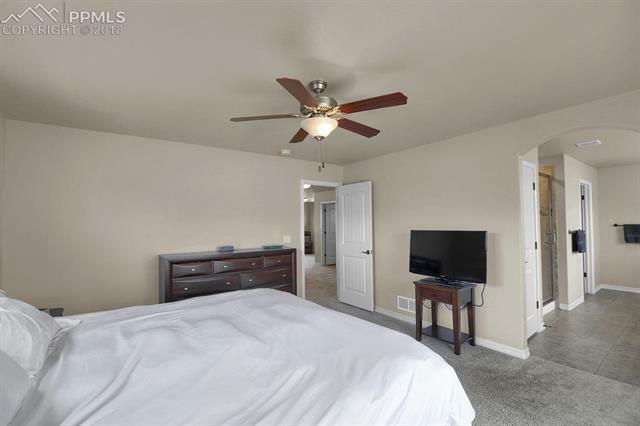 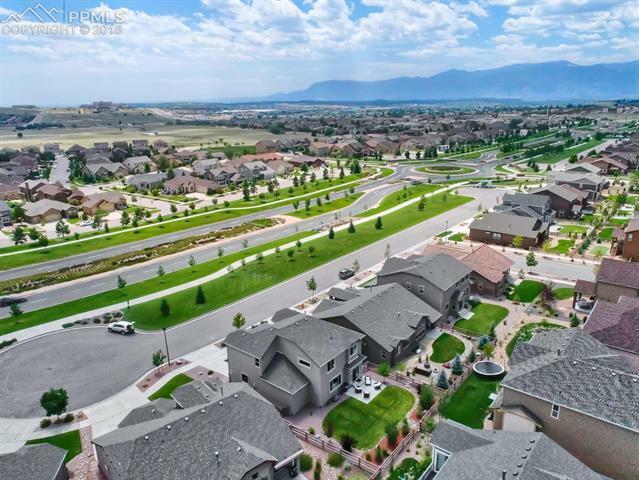 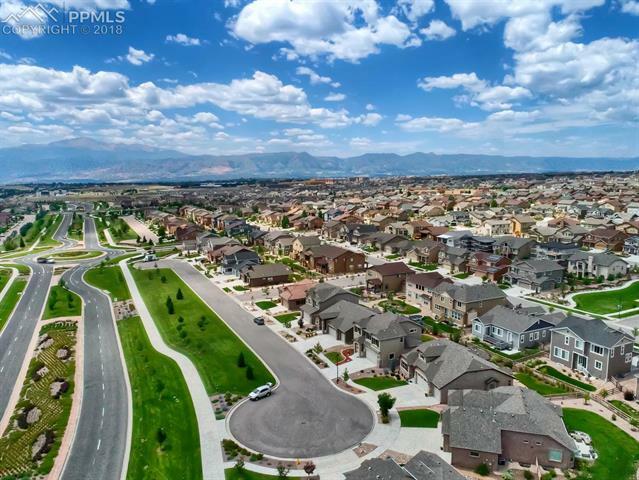 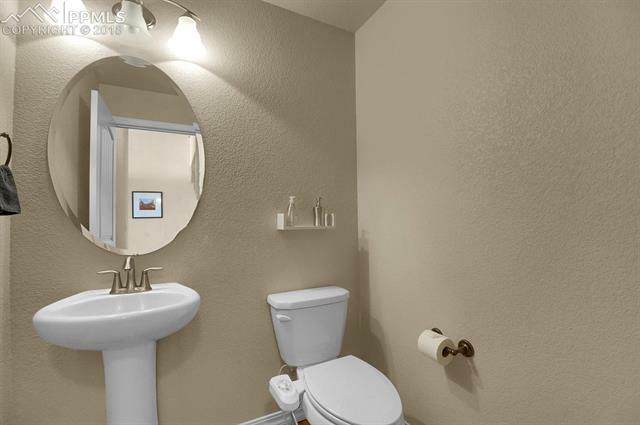 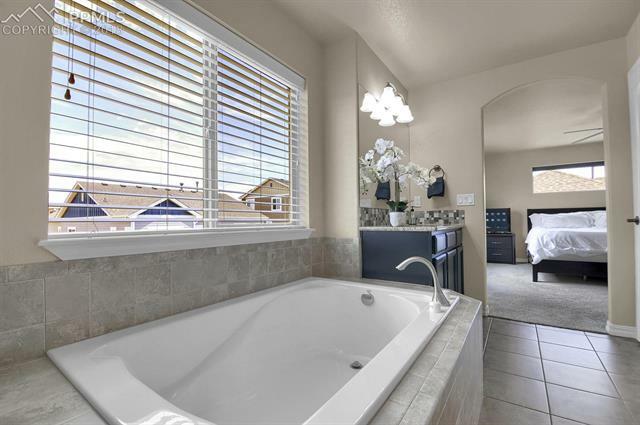 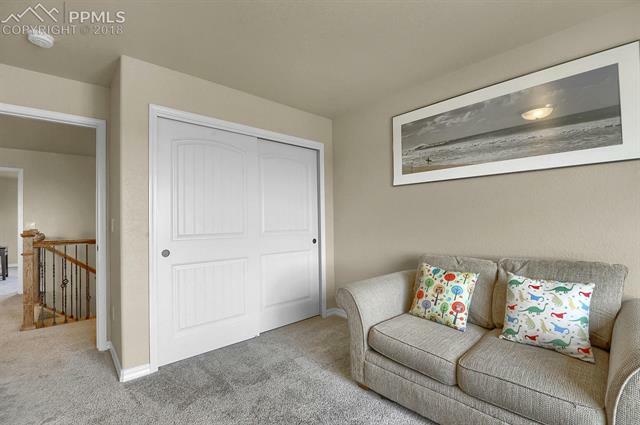 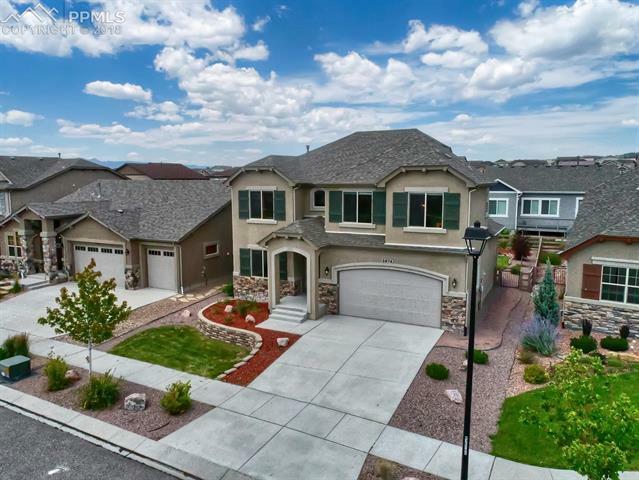 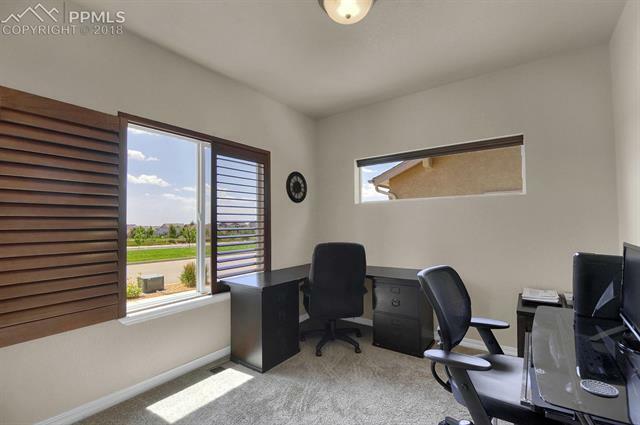 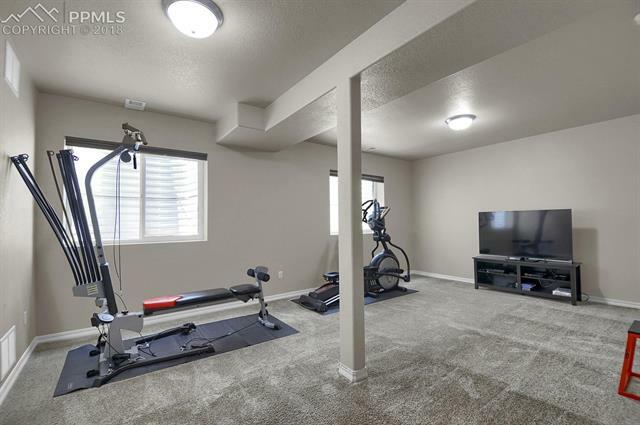 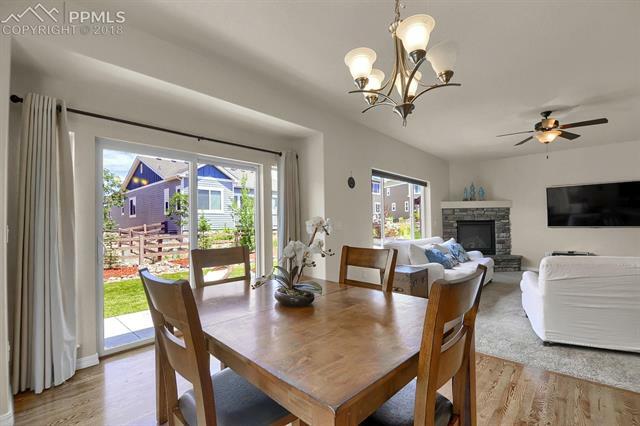 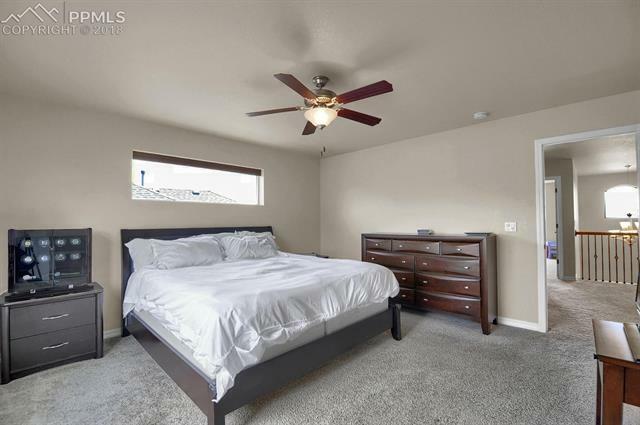 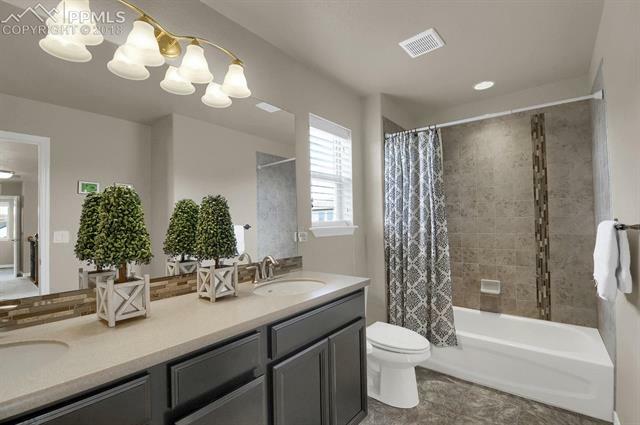 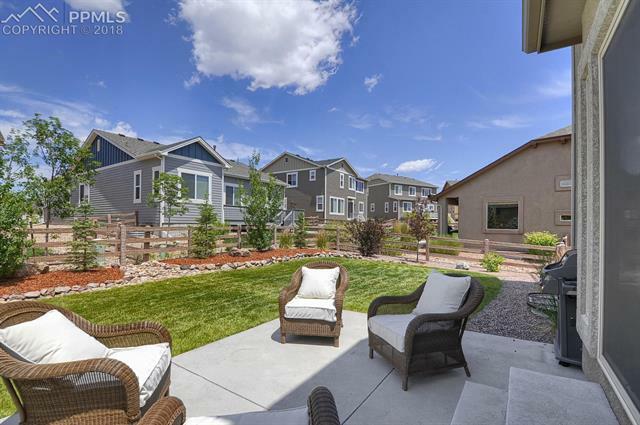 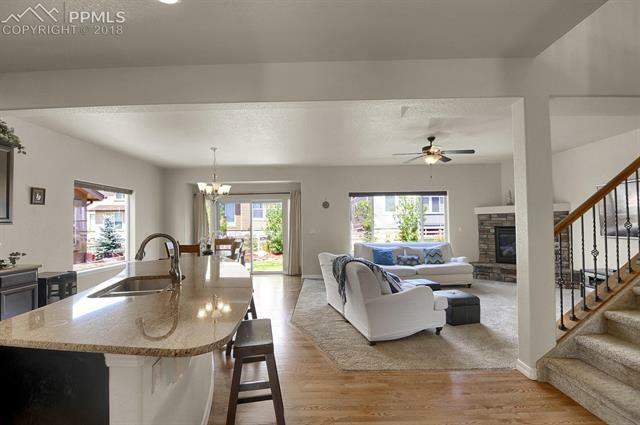 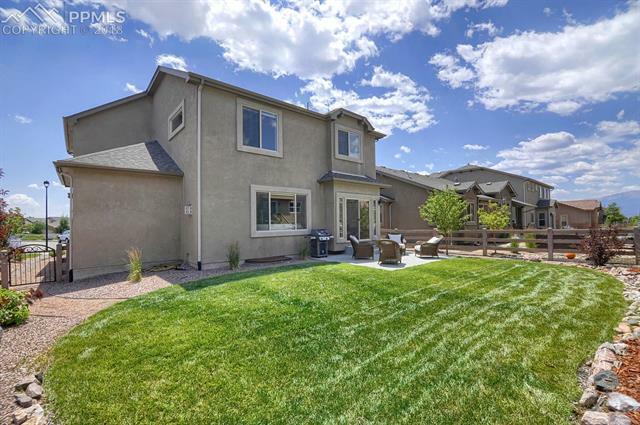 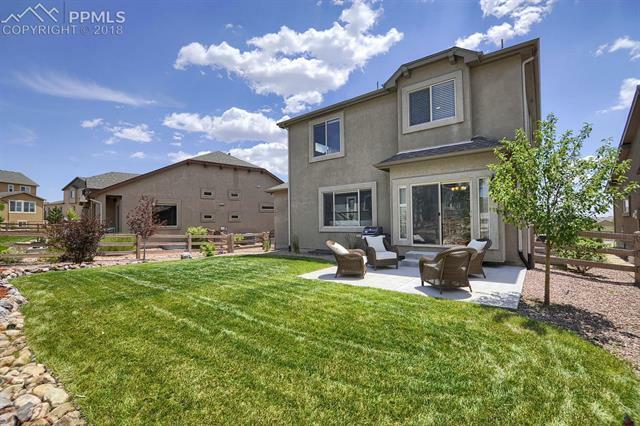 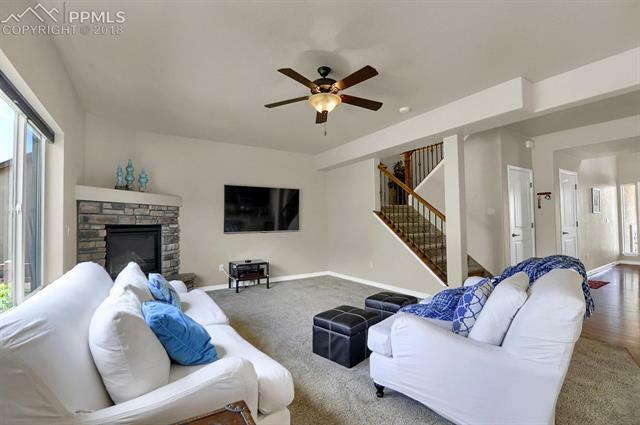 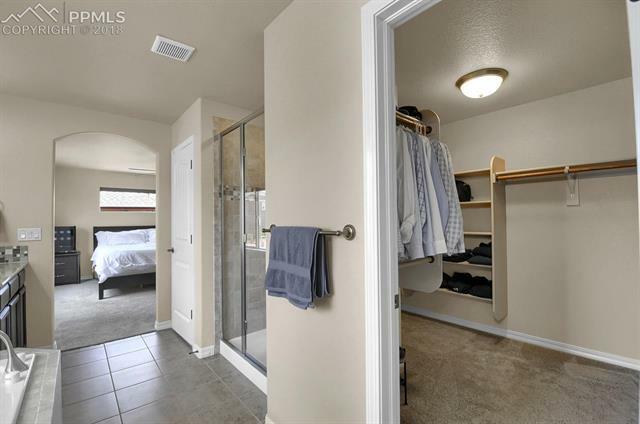 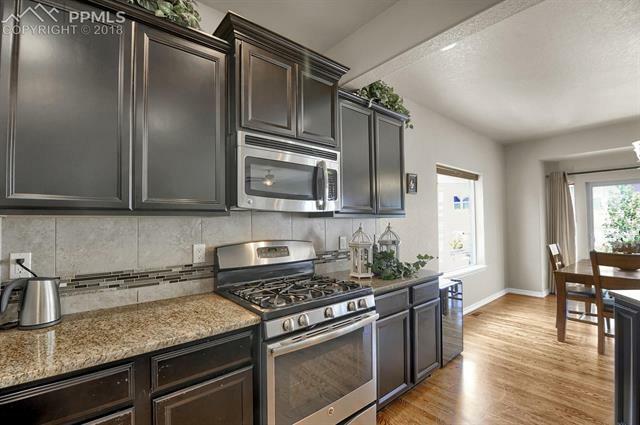 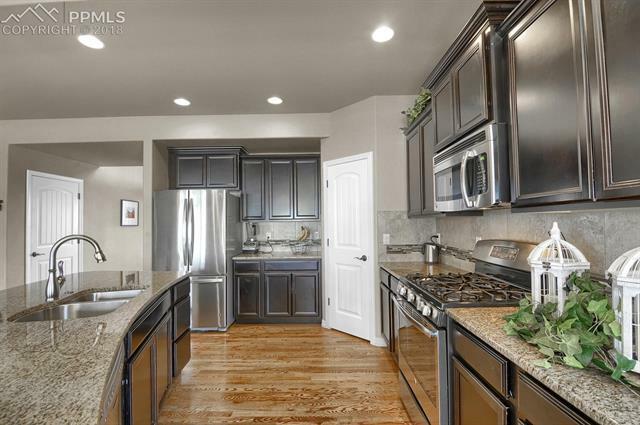 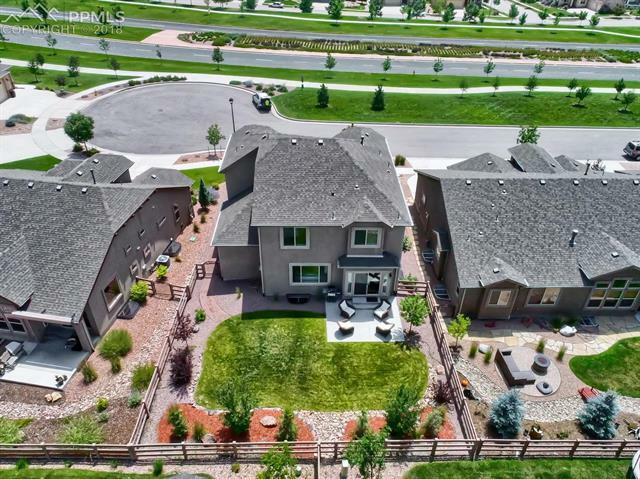 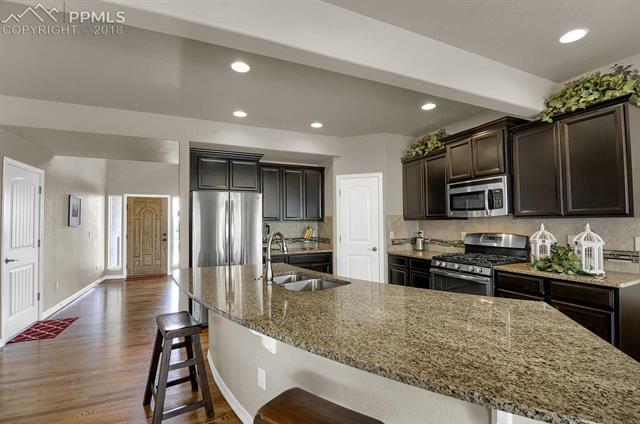 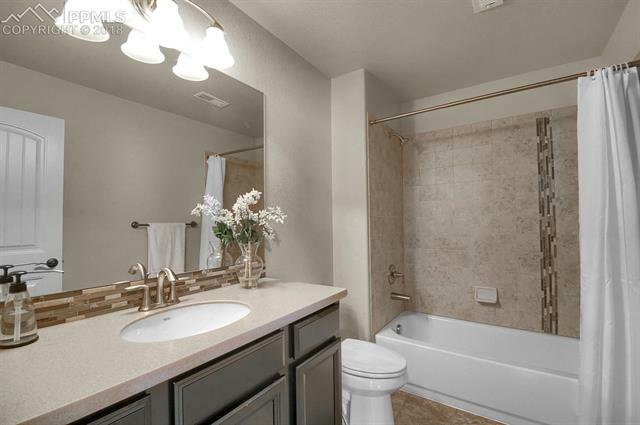 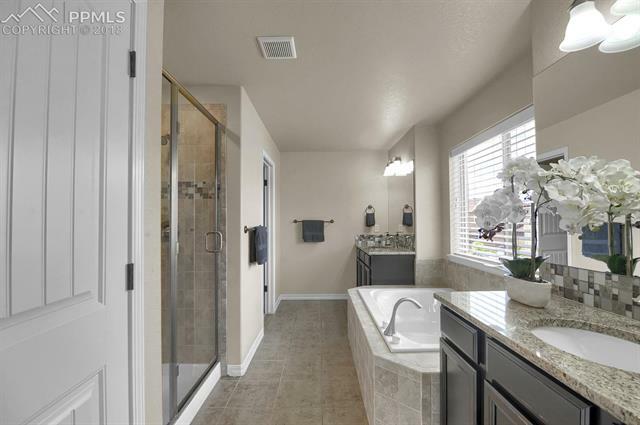 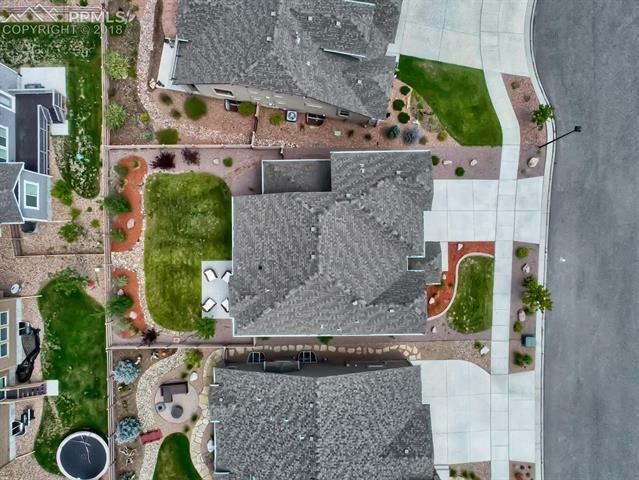 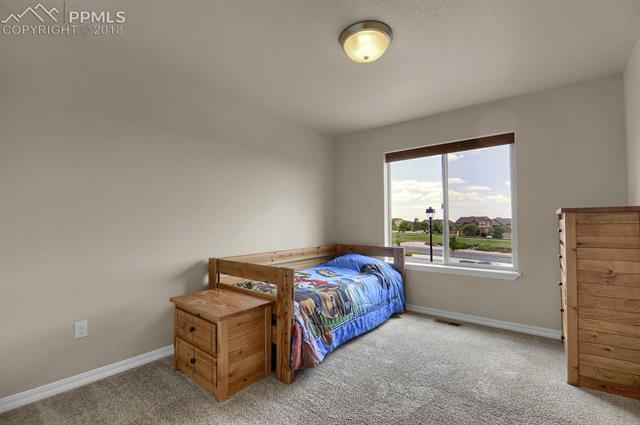 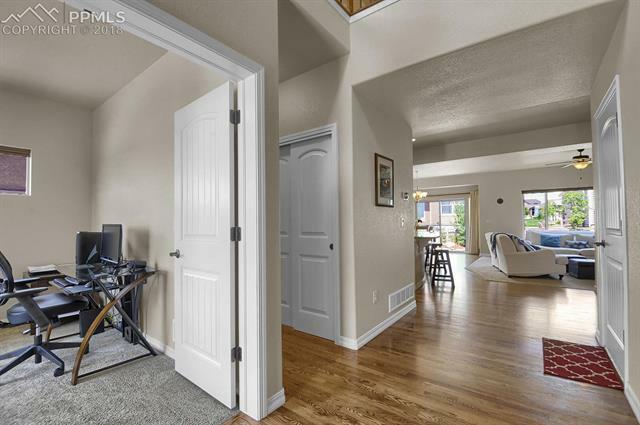 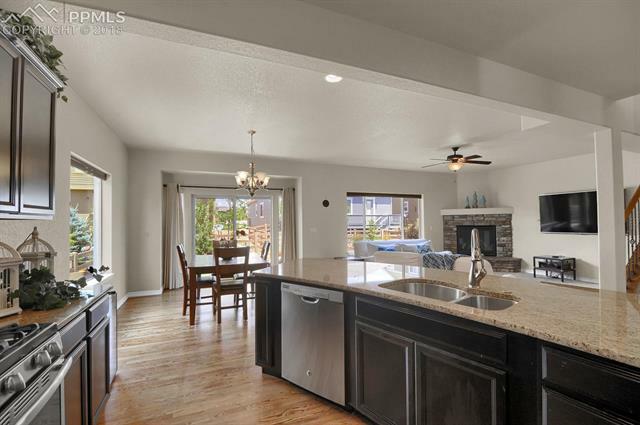 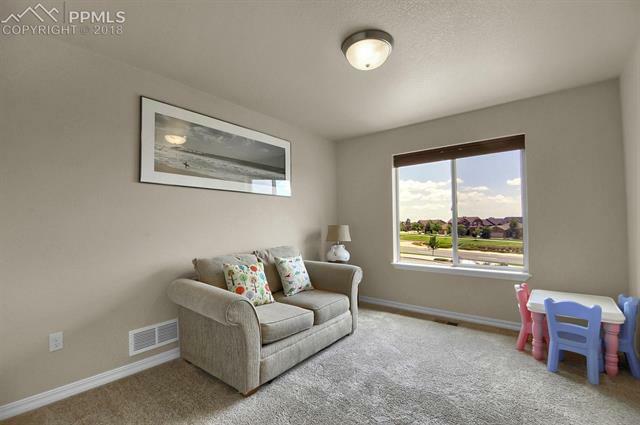 Immaculate stucco 2-story with timeless French Country design, 3 car tandem garage, very open layout, and fantastic Wolf Ranch location on a quiet cul-de-sac facing the greenbelt offering views of Cheyenne Mountain. 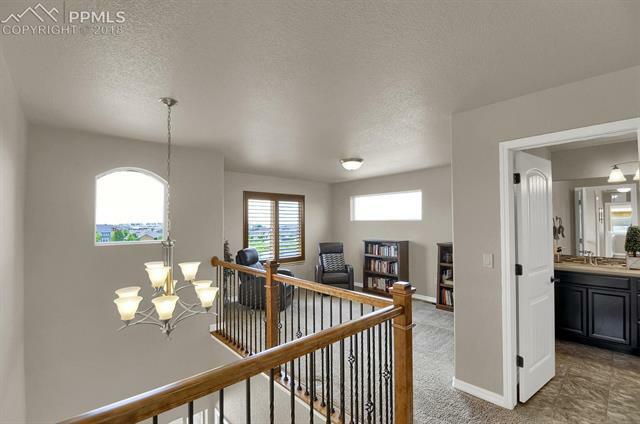 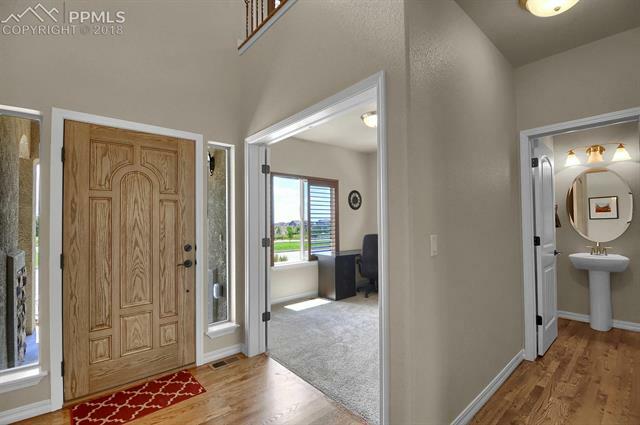 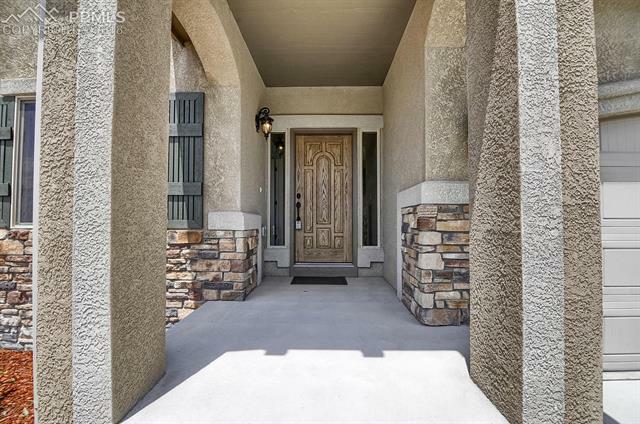 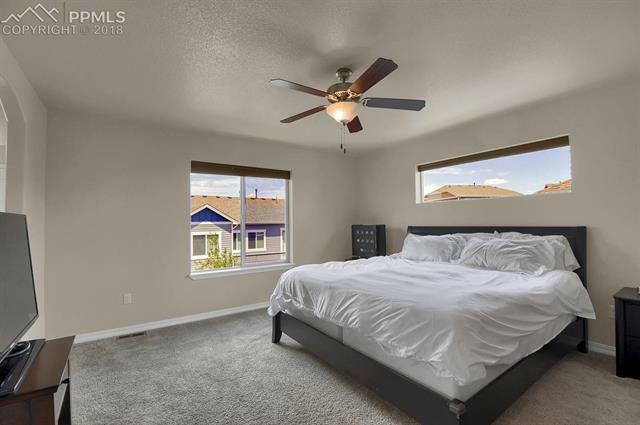 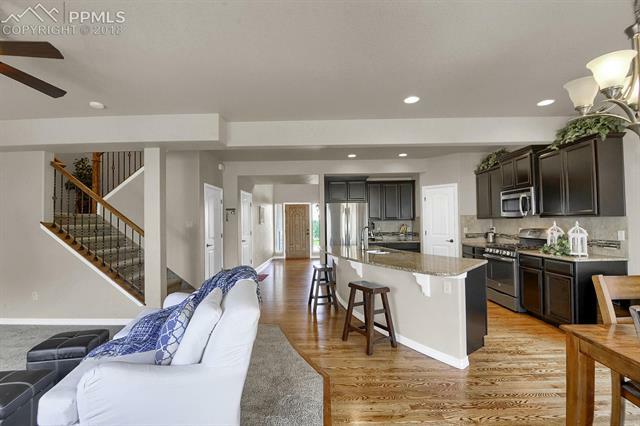 Charming covered entry, completely open from front to back, featuring a main level with hardwood floors, study w/French doors, dramatic open staircase, great room, fireplace, and stunning kitchen with dark cabinets, slab granite counters, walk-in pantry, and huge center island. 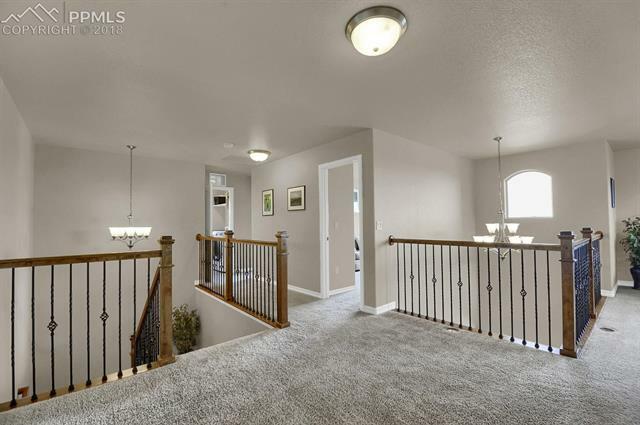 3 bdrms upstairs + loft.